Do you have a leaky or weather-damaged mobile home roof? If you do, you’re going to have to decide whether to repair it or replace it. All Weather Roofing, Inc. is the best mobile home roofing company in the Tampa Bay area, and we can help you make the decision. If the damage is minor (i.e. you’re not noticing a lot of brown stains on your ceiling, and you’re not slipping in puddles), you might be able to just have the leaky areas sealed. More severe damage could mean that your Hillsborough County mobile home has to have the roofing replaced. All Weather Roofing, Inc. can assess the damage and advise you on the best course of action. Mobile Home Roof Repair or Replacement? 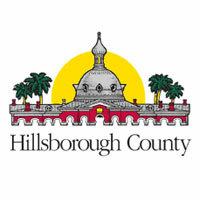 Any Hillsborough County mobile home will have to have a roof over eventually, because patching is only a short-term fix. New leaks will spring up over time, and they’ll be progressively worse. When that happens, you’re risking not only the structural integrity of your mobile home, but the safety and health of anyone who may be in your home. Once mold becomes entrenched, it’s very hard to get rid of, and it can aggravate or even cause respiratory problems like asthma or chronic bronchitis. For that reason, if a roof over is a workable option for you, that’s the better way to go. Regardless of what you decide, though, you can rely on the best Hillsborough County mobile home roofing company – All Weather Roofing, Inc. Catastrophic damage, of course, takes the decision out of your hands – if the roof is beyond repair (perhaps due damage from a good old-fashioned Florida hurricane?) your Hillsborough County mobile home will have to have a roof over. We can fix minor leaks with a sealing compound, but again, we have to stress that although this may give you a few more years of peace of mind, it’s not a permanent fix. When it comes to re-doing your roof, sooner is always better. All Weather Roofing, Inc. has the preferred solution for your Hillsborough County mobile home roof over – it’s TOP (thermoplastic poly olefin), a durable product that’s available in three patterns – classic Non-Pattern White, Stony Ridge Shingle and Sierra Vista Shingle. TPO’s quality is backed by a lifetime transferable warranty. Another benefit you’ll appreciate is the natural cooling effect – most mobile home owners will realize approximately a 30% reduction in their AC costs. All Weather Roofing, Inc. has grown since its establishment in 1984, and we plan on continuing to operate this family-owned business for a long time. You can count on us to provide quality service and back up your warranty. We have an A+ Better Business Bureau rating and superlative customer reviews, so you know you’ll be dealing with the best mobile home roofing contractor in the Tampa Bay area. If the Hillsborough County mobile home you own has to have roofing repairs or a roof over, we’ll send one of our trusted representatives to your home to provide you with a free video examination. You can be assured that we won’t sell you anything you don’t need – you can see just where the problems are, and we’ll work with you to help determine the best course of action. Whatever you need, we can do the job in a matter of days. Request a free mobile home video roof inspection, or call us now at 1-800-297-3758. Our customer service team is there for you 24/7 to answer your questions and arrange for your free video inspection.